When “more than half of the Internet content is video” with “4 billion hours of video” viewed on YouTube each month – most of us would agree that “video is a powerful form of communication.” But “how nonprofits can effectively use video is less clear.” That’s why See3, YouTube and Edelman “collaborated to conduct a survey that reveals the first behind-the scenes insights into the use and impact of nonprofit video” and this month they released their benchmark report and guide: Into Focus: Benchmarks and Best Practices for Nonprofits and Video. Who participated in this research? This nonprofit video benchmark report is based on a survey of 446 respondents, “including senior management and staff members working in development, marketing and communications and, of course, video production”. Participants were from US and Canadian nonprofits in the education (21%) and human services (27%); health (14%), arts, culture and humanities, international and environment sectors as well as from animal organizations. Annual video expenditures for 66% of the organizations surveyed were $10,000 or less. Only 6% anticipate a significant increase in the video budget, 24% expect a slight increase, and the rest think allocation of funds will remain the same or decrease. Furthermore, 62% of the organizations surveyed designate very little or no staff time for video production and distribution. The survey reveals that organizations are counting what is easy to count: views, likes, and clickthroughs. These numbers only have real meaning and value if you understand their connection to the underlying organizational goals that the video was meant to achieve. If, for example, your goal is email sign-ups, how do views translate into constituent engagement? However, when it comes to analyzing the impact of their videos, 76% of the respondents either don’t know how it’s measured or they only track it anecdotally. ...Even though most nonprofits recognize the “video revolution” and want to do more, few are prepared to make video really work for them. 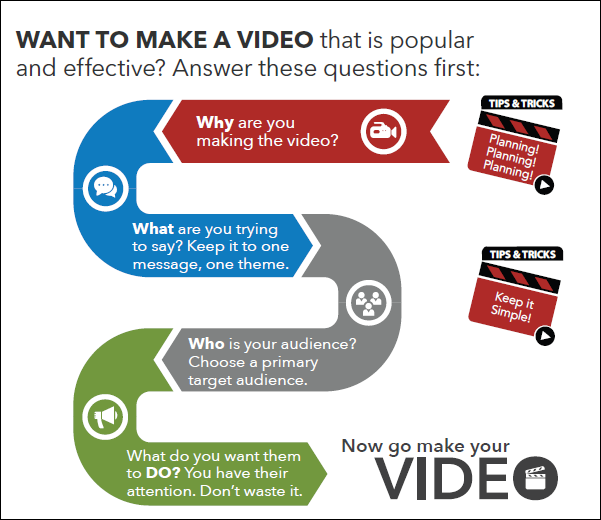 There are many barriers to having an effective video program at nonprofits. Budget, for example, is one of those barriers. The biggest challenge, however, is not about money— it is about culture. Video, like websites before it, will become one of those communications tools that are indispensable to organizations. Organizations will find a way to build internal capacities and think differently about how they use video, because they have to. This report is a first step to understand how to move in that direction. This report offers insight on who’s watching video as well as barriers nonprofits are facing in terms of budgets and staff resources. But it also includes tips, tools and strategies to help nonprofits understand how to get started with video, set goals and measure results. 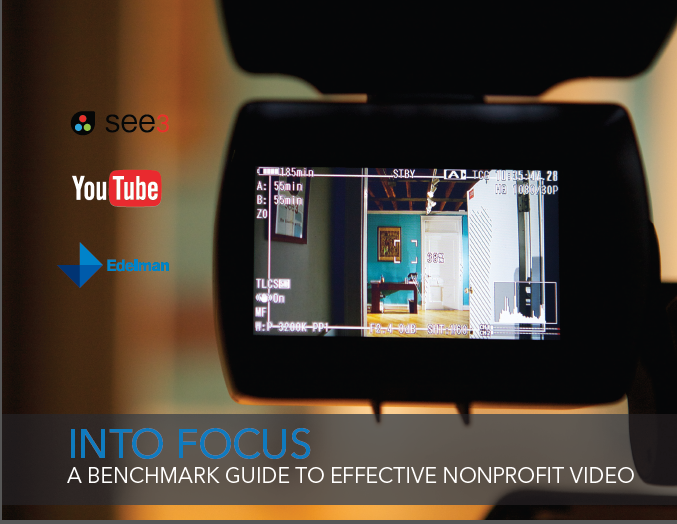 You can download the report here: Into Focus: Benchmarks and Best Practices for Nonprofits and Video. In addition, you can join “highlights” webinar sessions to get the big facts on June 11 or June 13 plus a more tactical three part deep-dive into how to plan, produce, and distribute video starting on June 18.
very helpful article. It's very inspiring.